Adventures in Texas barbecue. Want to stop the swine flu? Barbecue a pig! And remember, lettuce or spinach can kill you. Enter until August 7th. Click on the banner for the entry form. Good luck! Since we enjoyed the ribs we smoked for the party my wife attended so much, I asked her if we should do some more for us the next day. She agreed. Unfortunately, when she went to two different Aldi's (which had ribs on sale), they only had one rack available. Not wanting to just smoke one rack, she got another rack at Albertson's for a little more and we were on. The difference was the more expensive rack was fully trimmed down to just the spare ribs. Plus they were smaller spares. Oh well, might as well get full use out of those coals and smoke. Especially since most was going into the fridge for later anyway. We followed the same methods we did on Saturday. I trimmed down the large untrimmed rack, kept the belly meat, and gave everything a generous coating of North Main All N 1 seasoning. 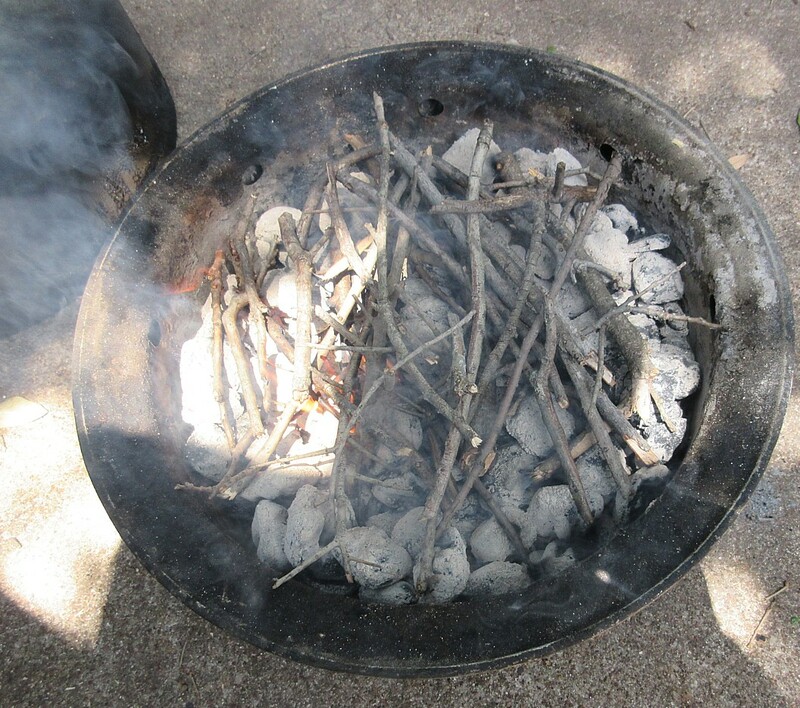 We loaded up the coals and added oak and pecan from our yard. Then into the smoker for 3 hours. 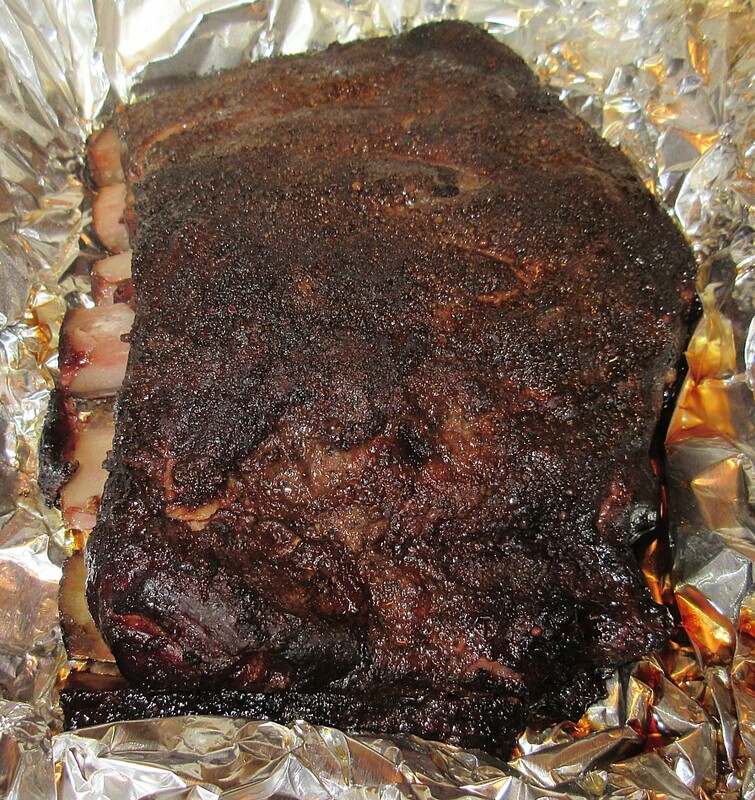 My Mrs noted the smoker was running a little hotter than on Saturday, but we kept the cooking times the same. 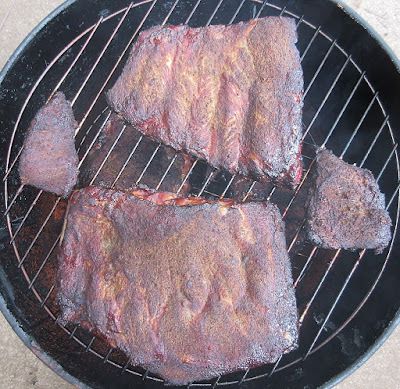 After 3 hours we had some nice smoked meats. 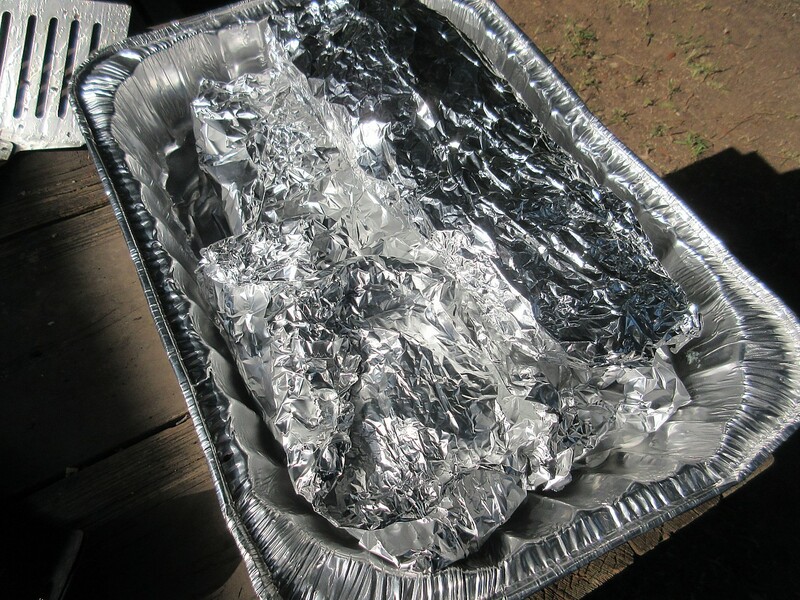 Next they were wrapped well in foil and into the oven at 250 for another hour and 15 minutes for some tendering. After that, I slathered on some Dr Pepper BBQ sauce and they went back into the oven for another hour at 150. 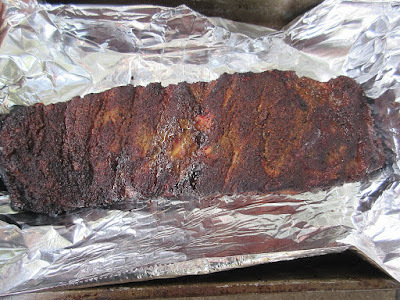 The result was some very nice candy ribs. 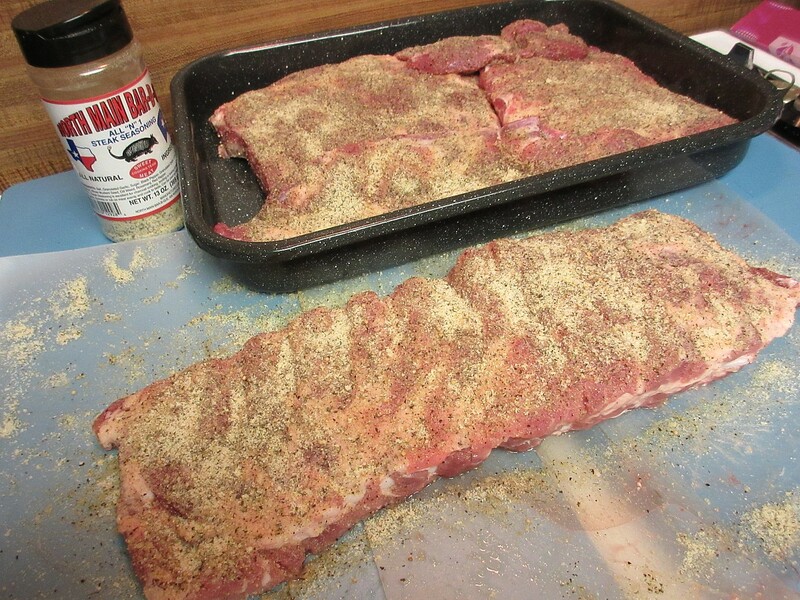 The sweet of the DP sauce with the spicy and salt of the North Main rub made for some scrumptous eating. Moisture and tenderness were excellent but they were just a tad overcooked as the bones slipped out easily. Still, better than chewy ribs. Good smoke flavor, too. After eating a few too many, the remainder went into the fridge to enjoy for the rest of this week. I had some again tonight with some of Vencil Mares' brisket and some Kreuz jalapeno cheese sausage and I can report that the result was one very happy tummy. I plan to repeat that several more times this week! 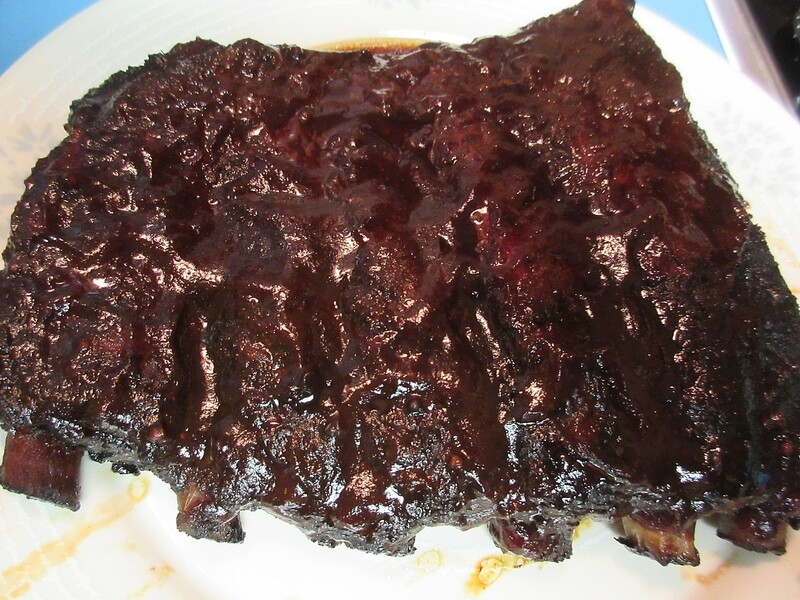 When I took the lid off the rib container that had been in the fridge for a day I could still smell the smoke. Now that's what I'm talkin' about! click on the photo below, if you dare! My wife offered to bring some ribs to a party today so we smoked a couple of racks and did things just a little bit differently. The results were spot on. 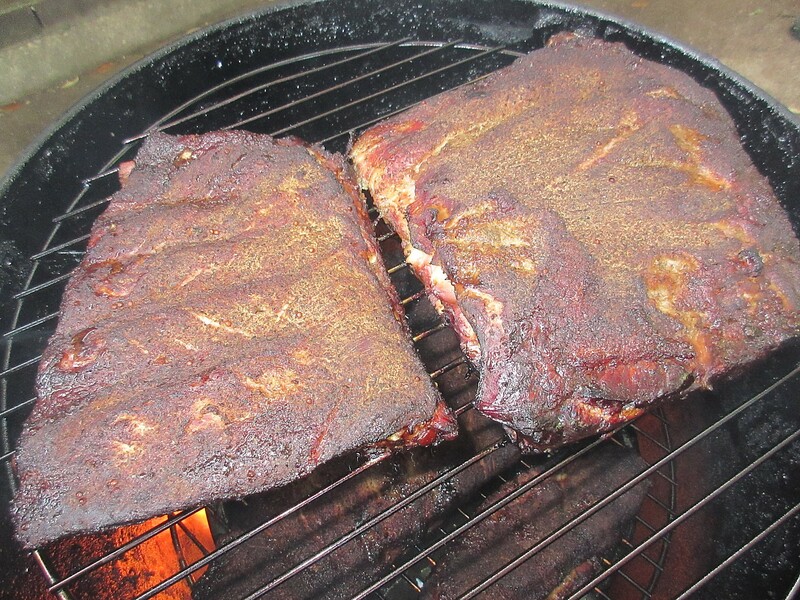 We had perfect moisture, texture, and flavor with good smoke penetration. 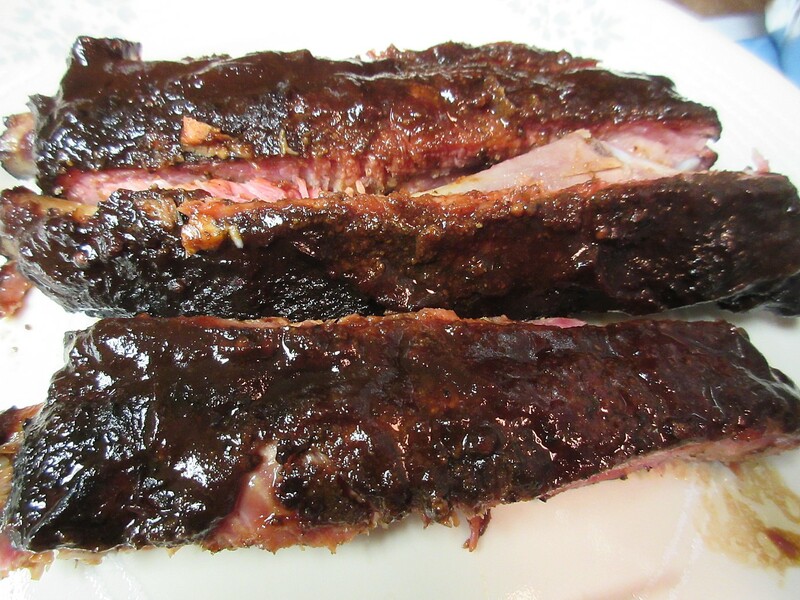 We've never done any truly bad ribs, but these qualified as great. Here's our methods. 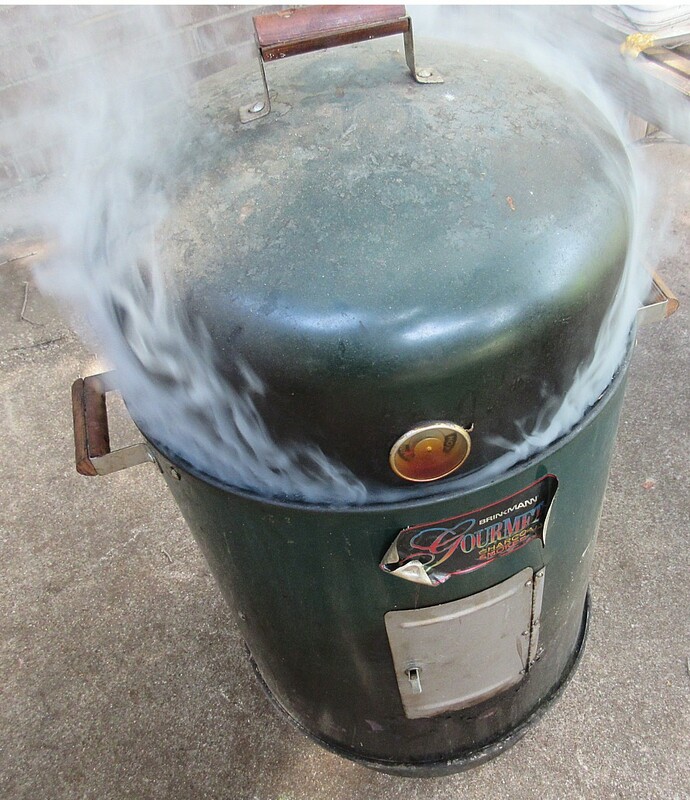 First, as usual, we had to trim down the racks and cut them in half to fit in our little bullet smoker. 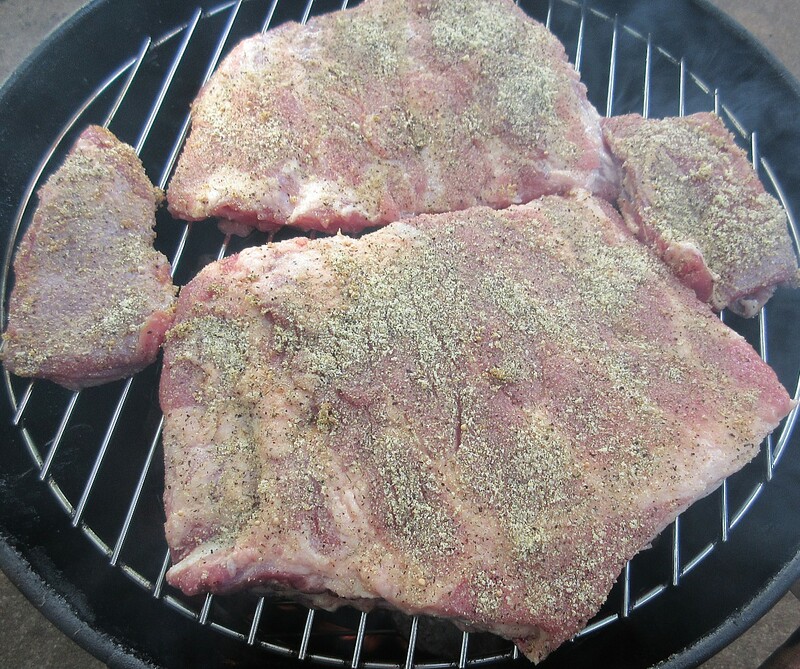 I kept the belly meat separate, but instead of chunking it we went ahead and smoked it, too. I figured it would be a bit dried out, as it is a smaller piece of meat, but it sure had great flavor. The only seasoning we used was some North Main BBQ All N 1 seasoning, which we applied liberally. 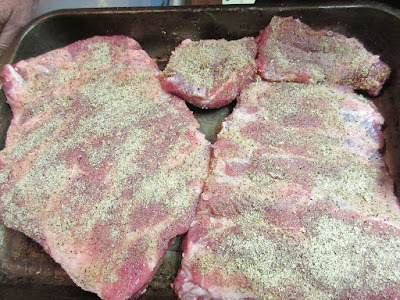 We didn't bother removing the membrane so no seasoning on that side. We put one rack and belly meat on the lower rack and the other on the top rack. We smoked everything over charcoal with liberal additions of dry oak and pecan twigs from our yard. My Mrs kept the smoke billowing for 3 hours. This is what we had when we popped the top after 3 hours. From there we wrapped each piece individually in heavy aluminum foil and put it in a pre-warmed oven at 250 degrees for 1 hour and 15 minutes. We then pulled the ribs, slathered on some Dr Pepper BBQ sauce, then re-wrapped and put them back in the oven for an additional hour and a half at 150 degrees. Here's the result. I got to chow down on about half a rack (for quality control, of course) and the rest went over like gangbusters at the party my Mrs went to. They sliced like butter but the meat held onto the bone just perfectly. Each rib I ate had the classic KCBS bite mark. They were so good, we plan to do 2 more racks tomorrow, just for us. Hopefully we can repeat this performance. I love barbecue. I always wanted to spend some vacation time sampling the best BBQ joints in Texas. A few years ago, my friend Scott and I started doing just that and we've been doing it every year since. We call it the "Calories and Cholesterol Tour". Since so many people were asking me about our experiences, I started writing them up. We are not expert eaters or writers. We just do this for fun and because we LOVE Texas BBQ. A note about our reviews. We tend to be "stealth" reviewers. We don't ask for pit tours or cooking techniques and we try to be discrete about taking photos til after we are done. We want to experience each meal as an average customer. 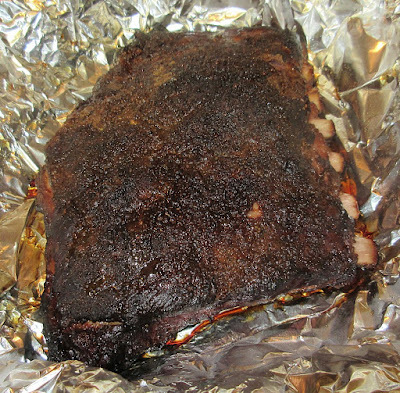 If you know a great Texas BBQ joint we need to try, e-mail me at donotemp AT gmail DOT com. CLICK ON THE PHOTOS FOR A LARGER VIEW! I also have a separate bass fishing blog.